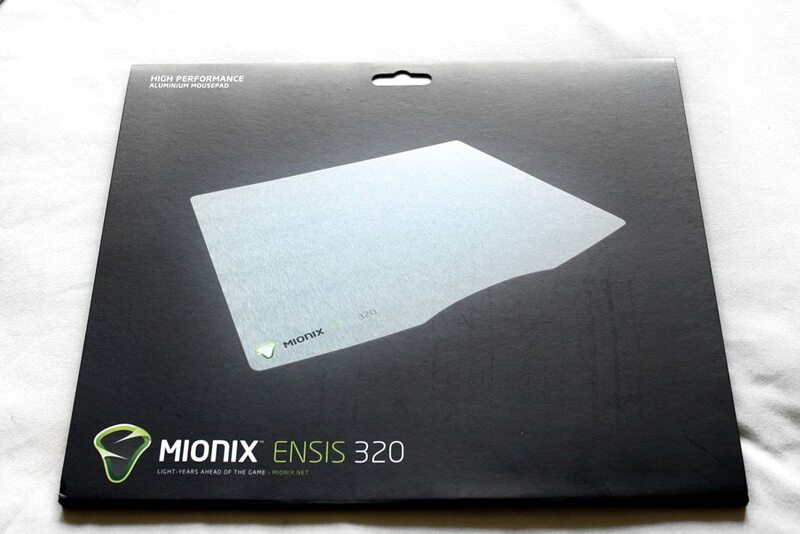 Today we’re having at the first of a pair of Mionix pads, with a traditional form factor – the Ensis 320. The Ensis is an aluminium mousepad that looks nice, but how will it perform? Let’s put it to the test. On the reverse, we’ve got features and specifications in 12 languages, as well as the celestial origins of the name, the model overview and specifications (as written above). Ensis is apparently the Latin word for ‘sword’, and is associated with the star west of Orion’s belt, Eta Orionis. The more you know.